LAUSANNE, Switzerland — With as few as six weeks left to save boxing's place at the 2020 Olympics, the governing body's new interim president is now in the IOC's home city for the final rounds of lobbying. A long-time ringside doctor, Mohamed Moustahsane stepped into the arena last month as the International Boxing Association's (AIBA) temporary leader after elected president Gafur Rakhimov stepped aside. Rakhimov's status on a U.S. Treasury Department sanctions list — with alleged links to international heroin trafficking which he denies — is part of an International Olympic Committee inquiry examining boxing's place on the Tokyo Games program, and the AIBA's right to run the sport. "Mr. Rakhimov did a great job since he was interim president (in January 2018) and we thank him for that," Moustahsane told The Associated Press on Friday. "But AIBA is now going forward." The Morocccan doctor said he had not yet met Nenad Lalovic, the IOC executive board member chairing a three-member inquiry, nor the Olympic body's president Thomas Bach. "We are confident they are working for the best interests of the sport," Moustahsane said in an interview. 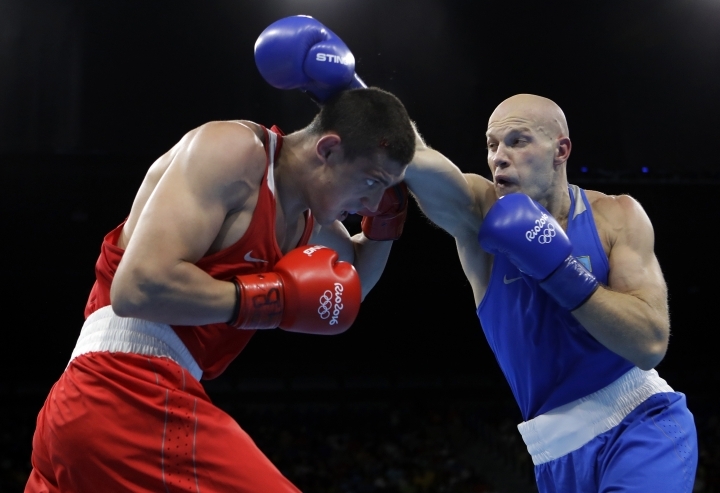 Two deadlines weigh heavily in the AIBA's near future. A May 22 meeting of the IOC board to assess the inquiry panel's report could see boxing removed from the Tokyo program, or choose to go ahead outside the AIBA's control. Bach's board already decided in November to freeze planning for men's and women's boxing tournament in Tokyo and block AIBA officials contacting organizers in Japan. The AIAB could also be formally derecognized by the full IOC membership at their June 24-26 annual meeting in Lausanne. 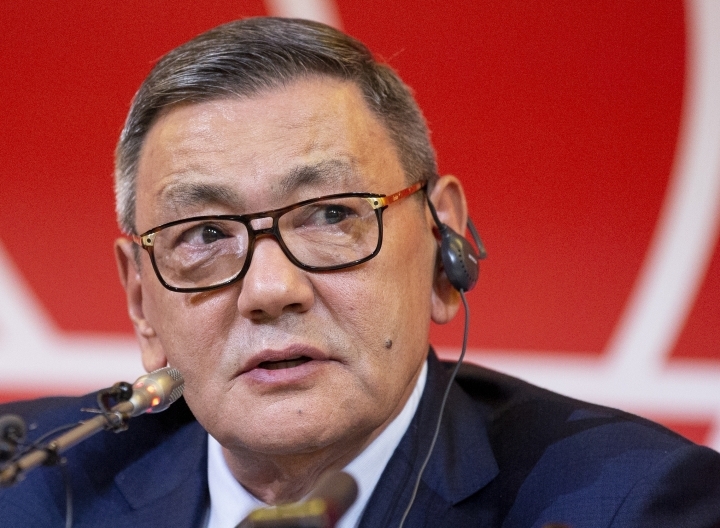 Rakhimov helped negotiate a settlement with the AIBA's main creditor, in Azerbaijan, before he was formally elected president in November by member federations. That vote triggered an inquiry panel being created by the IOC, which privately warned the AIBA against electing him. Moustahsane stepping into the presidential seat for up to nine months is seen by some skeptics as a tactic to placate the IOC before a Rakhimov return. Asked if Rakhimov staying out of office could be a condition of keeping boxing in the Olympics, Moustahsane said: "The IOC have never said that there's a red line. Mr. Rakhimov stepped aside so we don't have to discuss this issue now." The IOC is also concerned about the integrity of some bout results at the 2016 Rio de Janeiro Olympics and the AIBA's finances. Moustahsane chaired a panel allocating referees and judges to bouts in Rio, though then-AIBA executive director Karim Bouzidi was publicly demoted during those Olympics and took the blame. "We turned the page and saw that there was something to do improve our sport," Moustahsane said, insisting he saw no wrongdoing in Rio and preferred to look forward rather than "stay on the past." An offer to clear the AIBA's reported $16 million debt by its executive committee member Umar Kremlev of Russia was announced last month. "We asked Mr. Kremlev to put this proposal to the (executive committee)," Moustahsane said, adding the AIBA had not asked about the source of the money. The American federal sanctions on Rakhimov have left banks in Switzerland reluctant to do business with the Lausanne-based boxing body. "We are working according to Swiss law and nothing is out of order," said Moustahsane, who described an AIBA account held in Serbia as "not something important." Despite the IOC inquiry, the AIBA is still working with around 200 member nations and planning for world championships in Russia. The men's tournament in September and women's in October are meant to decide the first Olympic qualifying places. A legal fight would be possible if the IOC decisions go against the AIBA. Asked if his organization could appeal at the Court of Arbitration for Sport, Moustahsane said: "This is not one of our values."